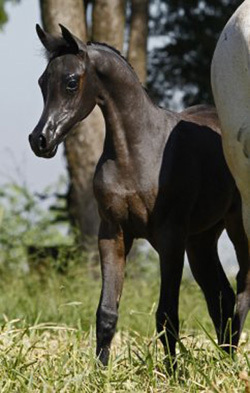 Polidoro FC has sired a beautiful grey filly, foaled on March 23, 2014. Having bred and raised some of the top show dogs in the United States, one day while in California for a dog show, we found ourselves at Sheila Varian's Summer Jubilee at her lovely farm in Arroyo Grande with our dear friend Perry Payson. We certainly understood pedigree, structure, temperament and movement from our dog world and had always admired the Arabian horse from our riding days. Little did we know that our very first Arabian horse was going to be shown the next day so we made arrangements to return and see the bay mare Kleopatra Jullyen V at her very first exhibition. She was so beautiful in her structure, movement and attitude we purchased her on the spot. Now what to do? Andy Sellman was a young respected handler then working in California so we entrusted Kleopatra to Andy who helped guide us into the exciting world of the Arabian horse. It's been an exciting ride from that very first day that has seen us showing many of our horses at the Nationals, Scottsdale and the Arabian Breeders World Cup. 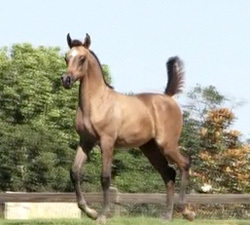 We have owned and bred both Scottsdale and National champions. 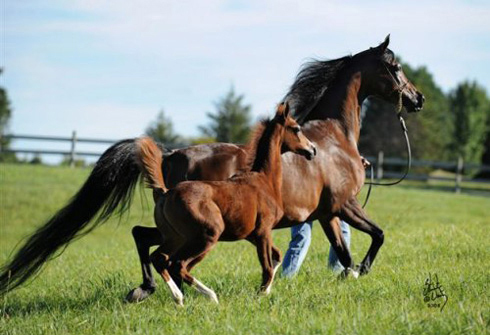 We are dedicated to the preservation of the three most important attributes: structure, temperament and movement. 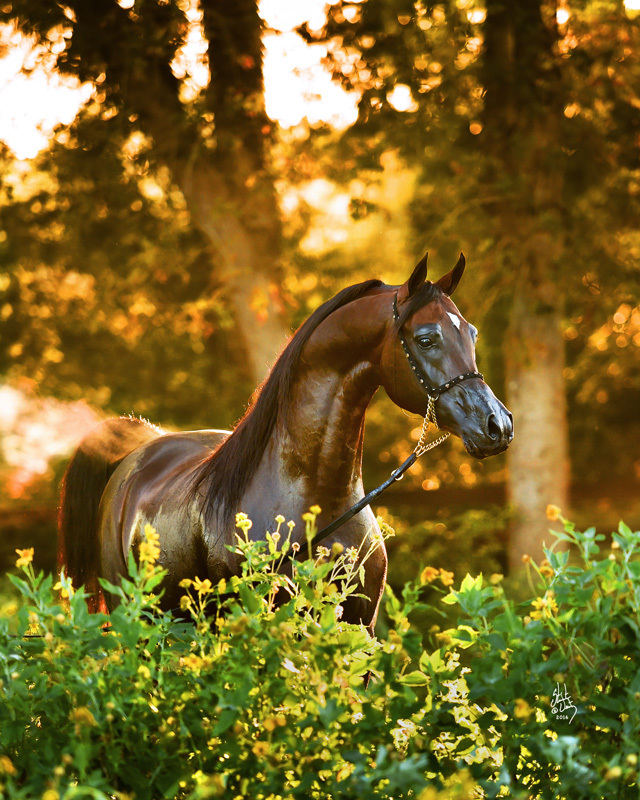 Our breeding program is dedicated to producing Arabians that excel in halter and in the performance arena as well. We will only use trainers that we know for sure treat our horses as we would treat them ourselves: Andy Sellman and Michael Byatt train our halter horses and Rob Bick works with our performance horses. Please enjoy visiting our web site.